EWIMA Healthcare is a multi-specialty group practice with an emphasis on adult primary care. Our mission is to provide healthcare services to all individuals in our community with dignity, compassion and respect. The vision of EWIMA Healthcare is to consistently meet the changing healthcare needs and expectations of the communities we serve. All physicians in the clinic are board-certified or have advanced training in their field. 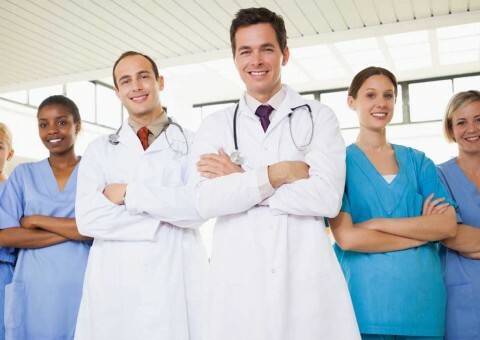 The physician staff is complemented by a team of highly trained physician assistants and medical staff. In addition, patients benefit from access to the latest advanced treatments and technologies. EWIMA Healthcare's physicians practice at conveniently located offices in Wheeling and Chicago, Illinois. EWIMA Healthcare also offers immediate medical care services for non-life threatening illnesses and injuries that require prompt attention without an appointment. Our Walk In Clinic services are for urgent medically necessary services which are required for an illness or injury that would not result in further disability or death if not treated immediately, but require professional attention and have the potential to develop such a threat if treatment is delayed longer than 24 hours. We have full service x-ray and lab facilities at our Wheeling location. We can give you immediate diagnosis and treatment for influenza and strep throat. We offer a full range of medical care for a variety of issues and conditions, such as allergies, insect bites, coughs, colds, sore throats, sinus infections, bronchitis, diarrhea, vomiting, flu shots, travel advice, vaccinations, ear infections, eye infections, flu, fevers, burns, rashes, and back pain.